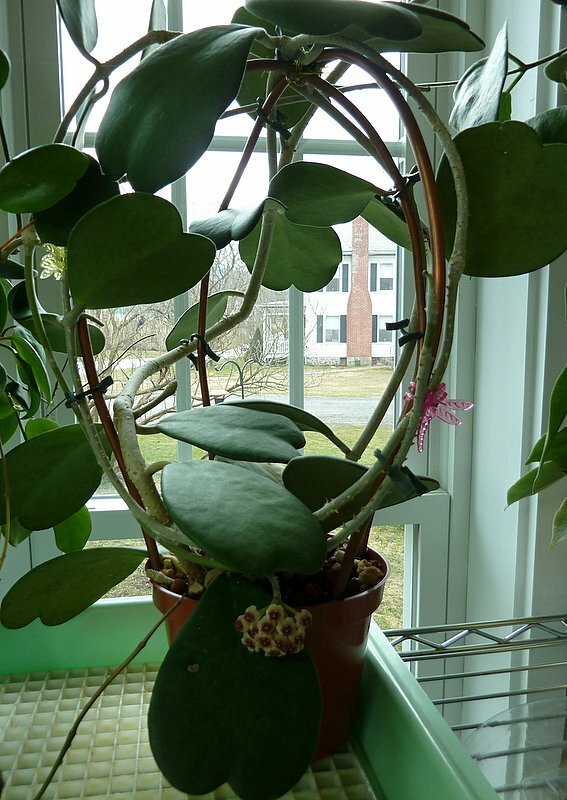 This is a must have Hoya for living in my neck of the woods. 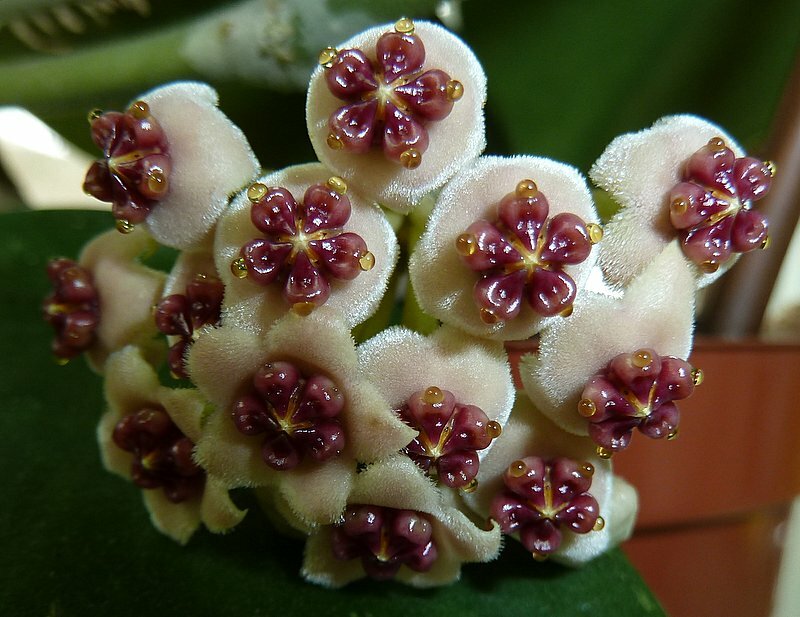 A very tough plant that is worth growing for the leaves alone, but has an extremely long lasting, quite beautiful bloom. There are three varieties of this plant that I am aware of with one having variegation, and one having pubescent (fuzzy) leaves. 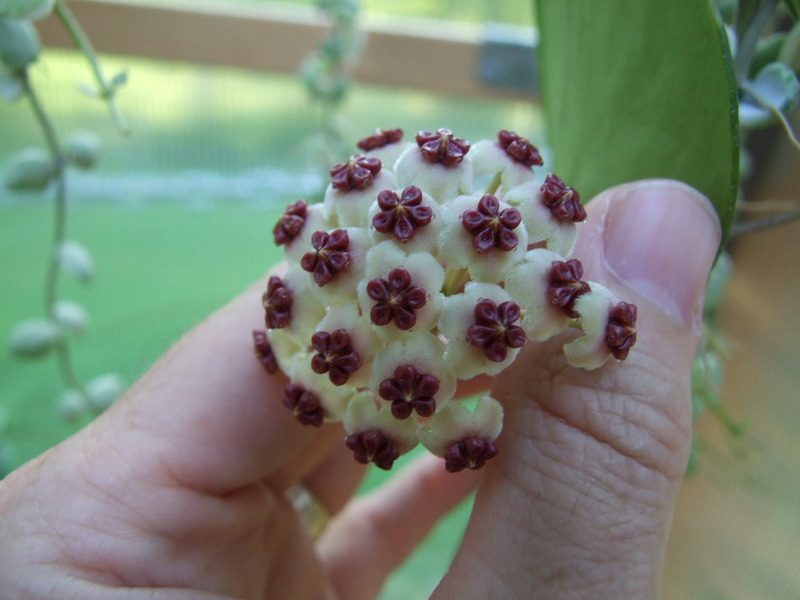 From my own experience, the original Sweet-Heart or Valentine Hoya is the easiest to get to bloom – mine bloomed just 12 months from starting the cutting! 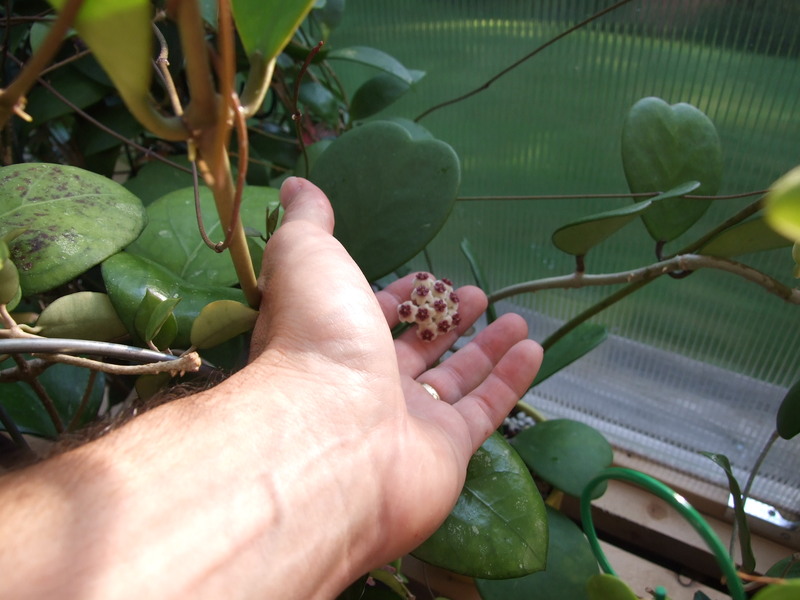 **Just Added** Here is a video of Hoya kerrii in action titled: A Couple of Minutes with Hoyakerrii.